Need a quick dinner idea? 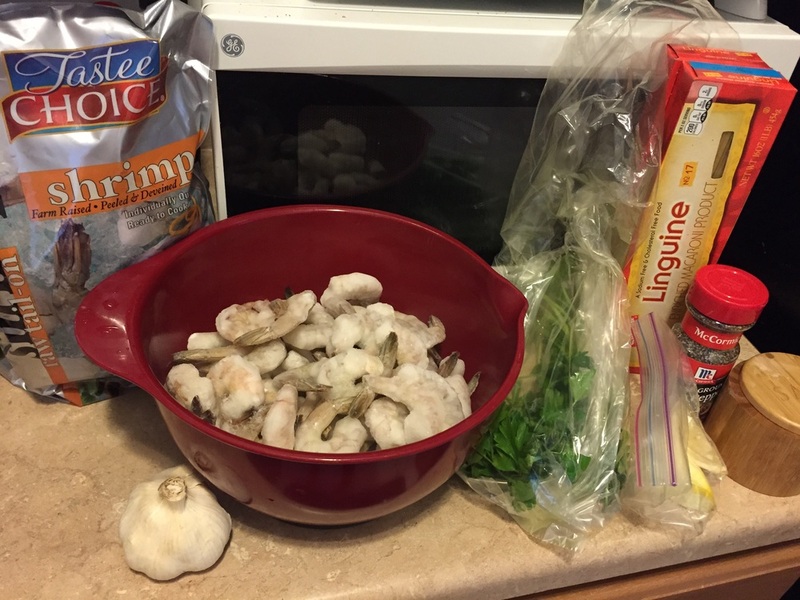 Try this super fast shrimp scampi recipe! It requires a few simple ingredients that you probably already have in your fridge, and takes just 30 mins to make! Recipe serves 4, but you can halve the ingredients if you want a quick dinner for 2, or double it for an easy catering-sized portion! Defrost the bag of shrimp in a large basin with cool water for 20 mins. Cook the whole pack of linguine al dente, place in a serving dish and set aside. Melt the minced garlic and butter down in a pot or pan, until the garlic is golden brown. Squeeze lemon juice inside the pot then add the salt, black pepper and some of the fresh parsley. Add 1/2 the bottle of white wine, bring to a boil then lower to a simmer. Add the shrimp to the pot, and cook until the shrimp is done (it will be pink). Scoop the shrimp out of the pot, and place it over the linguine. Bring the sauce back to a boil, and let it boil down to about half. Pour the reduced sauce over the shrimp and linguine and serve! Garnish with the remaining fresh parsley.